← Friday the 13th: Request A Doodle Day! I think I about covered the gamut of requests for doodles in record time. Apologies to Random California/Jaden’s parents. His photos are much better. Also, Rizz — groundhogs can’t wave AND hold a beer. Thanks for the requests and we’ll open up the request line again this Friday. Keep ’em coming! 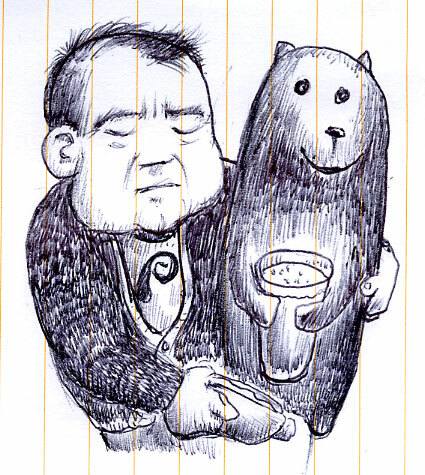 This entry was posted in beer, creature, doodle, doodles, requests. Bookmark the permalink.